El Paso, Texas is in the far west region of the second biggest state of America, essentially placing it smack dab in the middle of nowhere, but there is a certain mystique to being in a small town with such vast isolation. Whether you’re passing through or simply want to get a whiff of the country life, El Paso has a lot to offer. From the many activities throughout the area there is always something to do such as for those who love to hike and rock climb the Franklin Mountains State Park may be for you or the area’s popular attractions at the El Paso Zoo which features unique animals such as the Amur leopard. New travelers who arrive in El Paso can take time off to spend the day with their family in the many unique areas and attractions that the city has to offer. 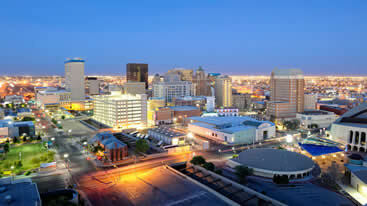 El Paso is a small city at the US-Mexico border. The Mexican culture is very dominant here when it comes to food, language, and music. 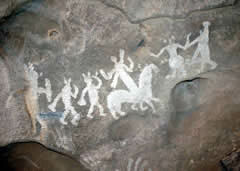 People from far off places come here to enjoy the cultural values, which this place has on offer. 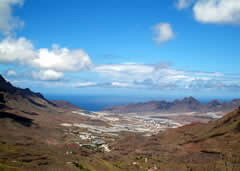 The surroundings of the city have mountains with caves and other explorations sites. The city doesn’t boast a huge skyline nor is considered to one of the biggest cities in the state. It is more of a tourists spot, promising beautiful views at night with a lighting star on the hills in the backdrop. When viewed from the other edge of the city, the panoramic views, which you get to see, are amazing. Curbside pickup and drop off is quicker if you make reservations in advance with the business class rides offered by Blacklane. Their black car service give travelers an option for luxury rides throughout the downtown El Paso area and nearby hotels. You can also choose an economy class ride with Talixo and get rides for all inclusive vans with low fares when you reserve an airport transfer. Present on the one side of the city is ELP Airport, which is a small in size and extremely beautiful. The old building was established during the 1920s and is still in very beautiful conditions. Here you get to enjoy free Wi-Fi and telephone recharging services, so you can stay connected to everyone all the time. The airport serves most of the western side of the Texas State. Due to the dependence of a large number of people, it is always kept in very good conditions. Here, you get to enjoy delicious Mexican cuisines and groovy Mexican music. The outside of the airport offers amazing scenes as well. Multiple suites and hotels present in its immediate vicinity offer reasonable accommodations. You can also get rides to roam within and around the city from the airport. The heat you face when you arrive to El Paso is nothing compared to the anguish of not being able to get a reliable ride to your hotel. This doesn’t have to be a problem, especially when you get local services involved by booking a shared ride van for pick up and drop off. Get a ride from El Paso International, arriving to your nearby hotel or attraction with cool and relaxing comfort. Luckily for families, El Paso is filled with all kinds of events made perfect for parents and their children. Take a trip to Wyler Aerial Tramway, a beautiful hiking and wildlife trail, and get there as a group by booking a private van. Another wondrous natural beauty to check out while you’re out is Franklin Mountains State Park, an incredibly scenic desert and mountainous range that offers incredible views, whether you’re a mountain biker or simply want to go on a leisurely drive. Visit the Magoffin Homestead, a historic landmark of a pioneer family’s adobe house from 1875. See other beautiful historic monuments by getting your very own private sedan, the perfect vehicle for taking the road less traveled. You can easily reach these roads by reserving your ride with a great El Paso company that offers only the best. A fantastic place that is both an El Paso cornerstone and a wildly beautiful location is the Chamizal National Memorial, a museum and park duo that resides along the U.S-Mexico border. There are all kinds of ways to get around, but driving through El Paso in a private SUV has the exclusive advantage off not only comfort, but also the pleasure of not having to sit with strangers like you would on public transportation. Book an SUV with area drivers and zip through traffic by visiting the El Paso Zoo, a 35-acre park with over 200 different species that span Africa, Asia, and the Americas. El Paso is an average, worker-class city, but that doesn’t mean there aren’t extravagant delicacies waiting around every corner. Eat out at Carino’s Italian, a modern fare Italian place with high ratings and amazing seafood dishes, or try southern comfort food at the local legend, Iron Skillet Restaurant. Get to these amazing locations in unmatched style by booking a stretch limo from none other than the best providers and incredibly accommodating companies that has exceedingly helpful chauffeurs used that are used to staying out as late as they have to. If you’re in a rather large-sized group, the best way to get around is with your own bus. Reserve a chartered vehicle today by contacting us, and be sure to check out all the group-friendly places in town. No one quite takes football as serious as El Paso, something that can easily be proven at Sun Bowl, a college football venue with over 50,000 available seats. Plan to check out a game at the one-of-a-kind arena by reserving a chartered bus for your group and don’t forget to get a ballpark hotdog! If athletics isn’t everyone’s thing, take the bus to the equally group-friendly Abraham Chavez Theatre, a stunning arts venue that is famous for being shaped like a sombrero. There’s a lot you can say about El Paso, but you can’t say it’s not scenic. The Scenic Drive gives you an astounding look at the downtown cityscape as well as the lowly sprung mountains that graze that background like some gorgeous painting. The area is especially beautiful if you go at night. The Wyler Aerial Tramway is an amazing way to get an aerial view across the gorgeous scenery of El Paso. Whether it’s the mountainous ranges you want to see or simply the top of the Franklin Mountains State Park, this form of transportation is both unique and efficient. The Hueco Tanks State Historic State is a beautiful look into El Paso County, giving you exclusive looks into bird watching, bouldering, as well as seeing the original grounds of Native Americans. Although the historic site is practically in the desert, there are small and interesting signs of life – particularly the tiny freshwater shrimp that attract bobcats and golden eagles. The El Paso International Airport is a great place to wait for a ride, seeing as how it’s practically in the center of downtown. With a bountiful food court, plenty of stores and several car services, it’s almost impossible to find any sort of inconvenience at this facility. El Paso Airport offers several shuttles, some of which are Alamo Shuttle Service and Juarez/El Paso Shuttle Service, which offer fun tours around the most iconic landmarks of the city. For more direct ground transportation, there is also courtesy shuttles for long-term parkers as well as app-based services like Uber and Lyft. To stay somewhere extra fancy, but at a low price, visit The Gardner Hotel. With a storied venue and original furnishings, this bed & breakfast style accommodation makes for a fun and unique experience. If you’re more in the mood for something simple and efficient, visit Microtel Inn & Suites, a great stay that includes free Wi-Fi and close proximity to the airport. If there’s one thing El Paso is known for, it’s their delicious Mexican food. Whether it’s Los Bandidos, a tasty Tex-Mex fusion with big margaritas, or Mi Piaci, a Mexican-Italian restaurant with fine dining and a great wine selection. 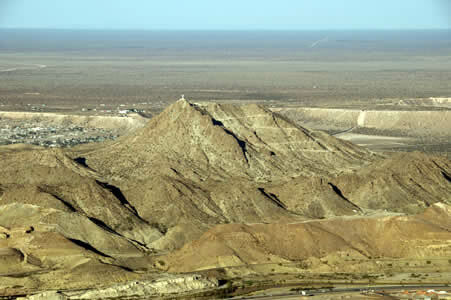 If you can’t find anything else to do in El Paso then there is plenty to do in the surrounding area. The El Paso Museum of Art is a beautiful exhibit that features a nice collection and free entrance, making for a budget-saving good time. To see more history, visit the St. Patrick Cathedral, a beautiful church built in the early 19th century that still has mass to this day.